Livani is a small city situated on the River Daugava in the Eastern Latvia state of Latgale. I painted there were several other artists for 3 days in the summer of 2014. 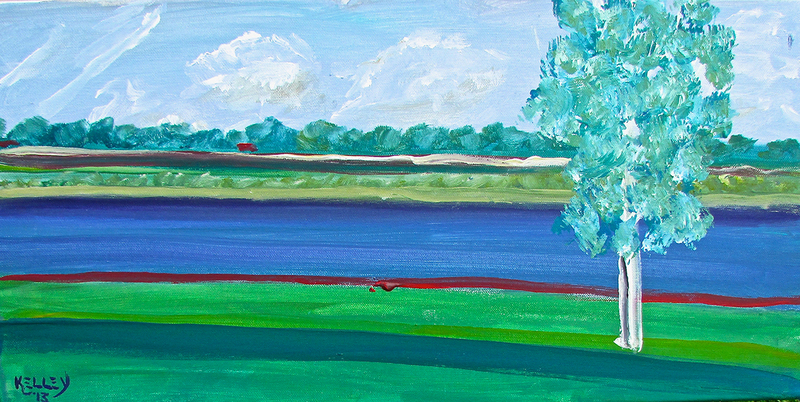 This work was painted en plein air from the banks of the Daugava at the Latgale Art Centre.